Simple though they may sound, locks and keys really do deserve to have their own article because in France they have a very different way of functioning than in places like the U.S. For one thing, the service prices are far higher and the locks are more complex. The upshot is that if something goes wrong, like a lost key or a broken lock, it can prove very time-consuming, not to mention expensive. The first thing to know is that the keys in Paris come in a mind-boggling array of unique shapes and sizes. The majority of these keys will match a ‘porte blindée‘, which is a security door with three bolts that secure the top, middle and bottom to ensure no chance of an unwanted entrance. Most insurance companies will require that you have a porte blindée or will discount your premium if you already have it. The average price for a key and lock in France is around €100, which doesn’t sound too bad until you start looking at the eye-watering costs involved if things go wrong. Calling out a locksmith (serrurier) can cost up to €500 depending on the time of day and week – and, if you break the key in the lock or the lock itself, this can cost up to €1,000. To give another example of a potential problem, when creating the combination for the key, this is often provided on a plastic card that includes a unique code for the key. If you lose this code, it is no longer possible to remake that key. 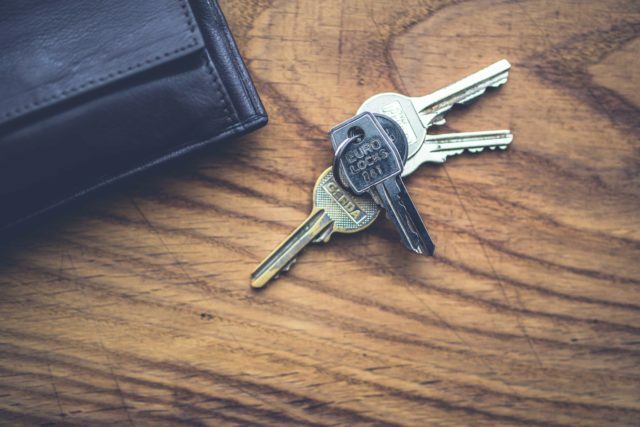 So, if you’re someone who forgets their keys often, it’s a good idea to leave a spare key at a friend’s place, therefore avoiding the headache of dealing with a locksmith service. Better to invest the €100 in an extra key than to deal with the alternative. When deciding on a brand for your locks and keys, we recommend the ‘Fichet’ brand as it’s the most resistant to destruction due to a system of tempered steel pins and the reinforcement of the drive system. This exceptional technical design allows for more than 100 million different combinations that guarantees no two identical cylinders. At VINGT Paris, we have a highly recommended locksmith who will work with you to assess all of your needs for your Parisian locks and keys.